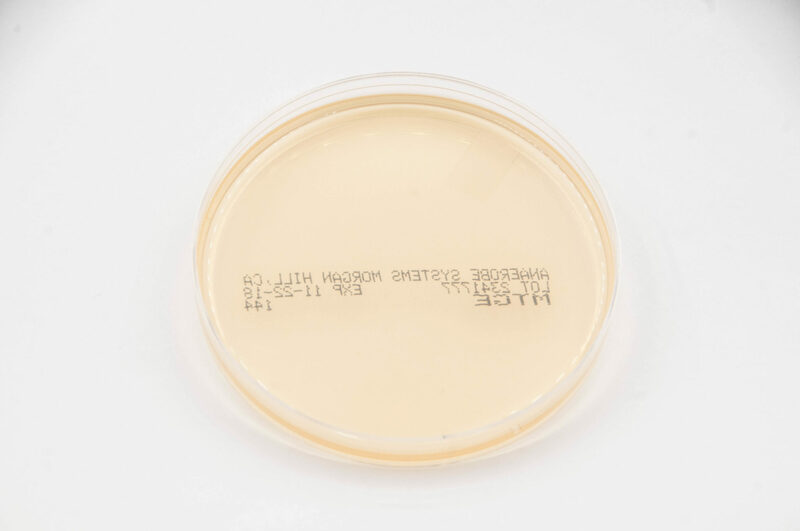 Anaerobic Enrichment Agar (MTGE) is an enriched non-selective medium used for the cultivation of most anaerobic bacteria and other fastidious microorganisms. MTGE is an enriched non-selective medium developed at Anaerobe Systems for the cultivation and isolation of most anaerobic bacteria and other fastidious microorganisms. A protein formulation and yeast extract comprise the basal medium, which is then supplemented with vitamin K1, calf serum, and volatile fatty acids as growth factors for many anaerobic bacteria. This media is prepared, dispensed, and packaged under oxygen-free conditions to prevent the formation of oxidized products prior to use. If used properly, MTGE will support he good growth of many fastidious and non-fastidious anaerobes isolated from clinical specimens. 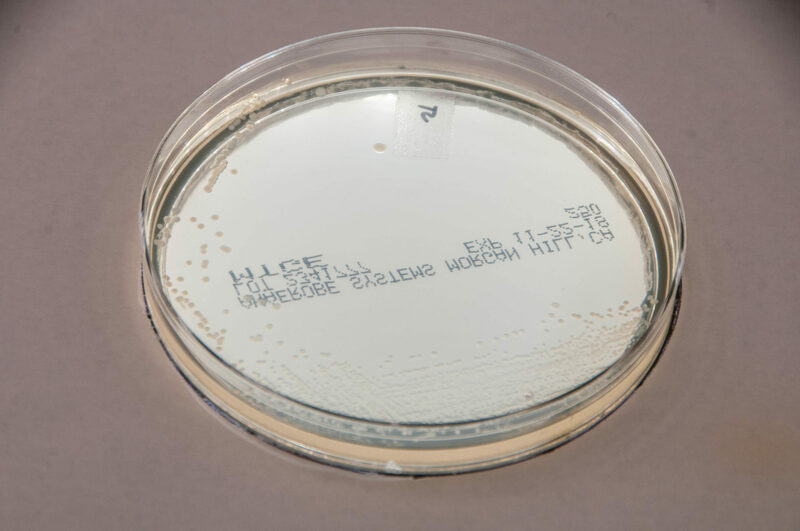 MTGE agar will not provide complete information for identification of bacterial isolates. Additional test procedures and media are required for complete identification. In some cases, MTGE agar may be overgrown with swarming Proteus spp. or Clostridium spp. It is recommended that selective media such as Laked Brucella Blood Agar with Kanamycin and Vancomycin (LKV, catalog #: AS-112) and/or Brucella Blood Agar with Phenylethyl Alcohol (PEA, catalog #: AS-113) also be inoculated from clinical specimens to prevent such overgrowth and thus provide isolated colonies. Consult reference materials for additional information.